Susie Hulet Community Solar is brought to you by Weber State University and Utah Clean Energy to make residential solar electricity a simple and affordable choice for residents of Davis, Morgan and Weber Counties. 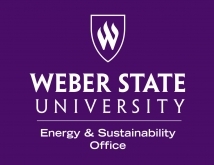 Susie Hulet Community Solar is brought to you by Weber State University! WSU became an American College and University Presidents’ Climate Commitment signatory in 2007 which led to the creation of the school’s Climate Action Plan that details steps for becoming carbon neutral by 2050. Since 2007, through energy efficiency and conservation, WSU has cut its electricity consumption by over 25 percent. The Susie Hulet Community Solar Program is being brought to Weber, Davis and Morgan counties by Weber State University’s new Sustainability Practices and Research Center. The center’s focus is to further and facilitate WSU’s aims of sustainability education, research, and very importantly, practice, both on and off campus. The Susie Hulet Community Solar Program is the Center's first big initiative in the third realm of practice. The ultimate goal is to increase the use of renewable, clean solar energy in this region, both now and going forward, resulting in more solar panels on more houses. 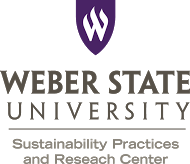 The Weber State University Energy & Sustainability Office is responsible for implementing the campus Climate Action Plan and transforming the University into a carbon neutral and sustainable campus. The ESO also strives to create an environmentally literate campus and community by educating students, faculty, staff and the regional general public on sustainability practices. To learn more about our projects and programs visit www.weber.edu/sustainability. Gardner Energy is partnering with Susie Hulet Community Solar to provide quality solar PV installations for residents of Davis, Morgan, and Weber counties. Gardner Energy is an experienced solar contracting company providing design, engineering, and installation services for residential customers in Utah. Gardner will be offering a bulk purchase price for rooftop residential solar installations. When you take the Solar Survey, we'll pass your contact information to Gardner Energy. Your solar installer will work with you to design a system for your home that meets your energy goals. Utah Clean Energy is a local non-profit, non-partisan public interest organization partnering to build the new clean energy economy. Utah Clean Energy has helped hundreds of homeowners install solar through Community Solar programs and offers technical expertise to guide you through the solar installation proces. The family and friends of Susie Hulet made this program possible through their generous contributions. Read more about Susie here. 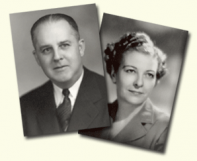 The founders established the Lawrence T. and Janet T. Dee Foundation in 1971 for the purpose of benefitting Ogden and the surrounding area through charitable endeavors. Their son, Thomas D. Dee II (known asTommy), was a founding director of the Foundation and continued their vision, serving as chair until his death in 2009. The family wished to give back to a community which had supported them during their lifetimes. Funding from the Salt Lake City Patagonia Outlet supports Susie Hulet Community Solar. In-kind support from Weber State Credit Union is greatly appreciated! If you're interested in solar financing you can learn more about their solar home equity financing here! Support from Grounds for Coffee is greatly appreciated! For a limited time only: take the Solar Survey and receive a free cup of coffee from Grounds for Coffee!